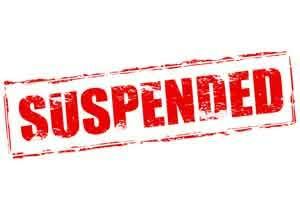 Jammu: Authorities have suspended a medical officer and terminated the services of two employees for alleged dereliction of duty at a health centre in Jammu and Kashmir’s Kishtwar district. Deputy Commissioner Angrez Singh Rana gave the order yesterday against the three persons posted at a primary health centre (PHC) in Chatroo, an official said today. The action was taken on the basis of an inquiry that found most of the staff absent at the centre during working hours and one woman brought in injured condition was denied treatment without any proper reason, the official said. Based on the preliminary enquiry, the district commissioner terminated the services of Sanjeev Sharma and Mohammad Ishaq, engaged under National Health Mission (NHM); and recommended termination of a permanent junior X-Ray technician, Sunil Kumar, he said. How many BABUS THE BUREAUCRATES are termited from their services for doing all sorts of stupid ACTS. I don\’t understand why the lawmakers are shitscared of the BABUS/ babes.